XtremeMac has unveiled another new charging stand for just about anything Apple. 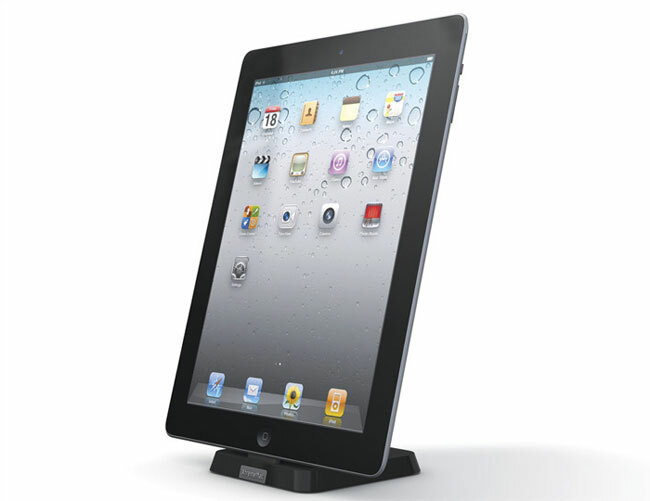 If the Apple product has the charge and sync port on the bottom like the iPad and iPhone, this stand will charge it. It works with the iPod touch, iPhone 4, 4S, iPad, and more. The device comes with a USB cable and will charge your iOS device while you sync the device to your computer. The cool part is if you are a multiple iOS device home, this one dock will fit your iPhone and iPad. The stand has a pad on the rear that adjusts. That adjustment pad is designed to allow the device to be held securely so it doesn’t sway back and forth on the charger. The USB cable that is included is a 4-foot device and works with most wall chargers. The InCharge Sync dock is available now for $29.99.